Humans are the top predator in food webs across the globe and Integrative Biology scientists are at the forefront of factoring human predation into one of the most critical food webs of all - fisheries. Food webs are an important tool in ecology because they help scientists understand all the predator-prey interactions in an ecosystem. But they don’t usually account for humans, a species that can have the biggest impact of all. PhD candidate Carling Bieg and Prof. Kevin McCann set out to change that. Working with a global network of colleagues, they have created a new graphical framework that links humans into food webs for inland fisheries. 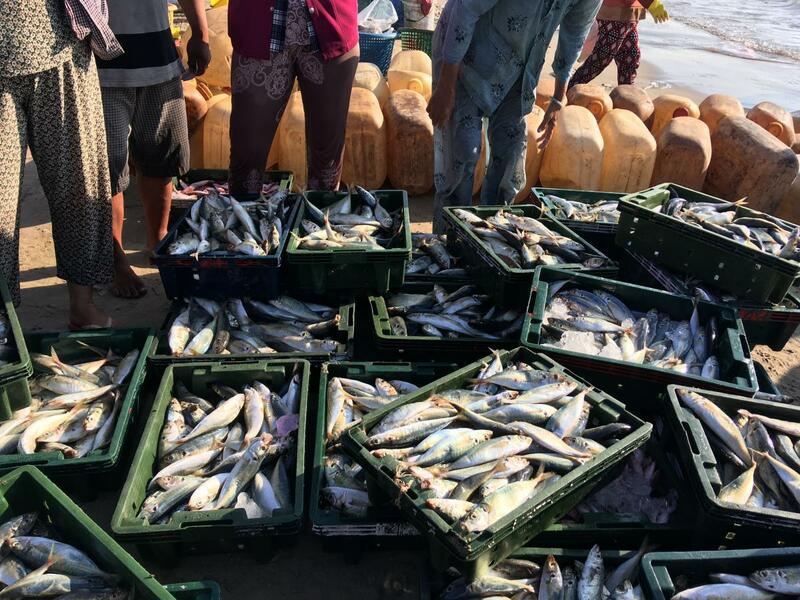 The framework includes the type and amount of fish that are harvested by humans in different systems, which will help ensure more sustainable management of fisheries. 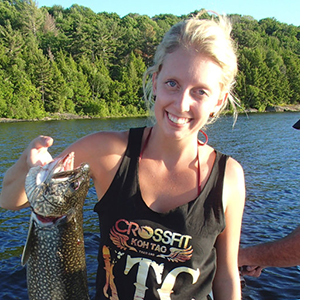 Bieg and her collaborators studied fishery practices used around the world and found important differences between developed and developing countries. In particular, lower income communities typically harvest many different species within the food web, while higher income communities tend to target just a handful of preferred fish species. These diverse fishing practices have very different impacts on the biodiversity of fishing grounds. For example, when a community harvests many different types of fish, it can lead to a decrease in slow growing top predators, and a resulting increase in fast growing species normally preyed on by these fish predators. This critical loss of biodiversity leaves the system more vulnerable to future climate change and extreme events. Alternately, fisheries that target a few preferred species are less at risk of biodiversity loss, because non-targeted species can compensate for the loss of harvested species and help maintain food web structure and diversity. The study shows just how critical it is to include human fishing practices into food web science, and how sustainable fisheries management must be tailored to different types of fishing practices. University of Guelph researchers Neil Rooney, Evan Fraser and Krishna CK also collaborated on the project. This work was made possible through partnerships with the University of Toronto, University of Washington, Université Paul Sabatier, and the Mekong River Commission. Funding was provided by Belmont Freshwater Security, Canada First Research Excellence Fund, Natural Sciences and Engineering Research Council of Canada, and the MacArthur Foundation. Read the full article in Frontiers in Ecology and the Environment.